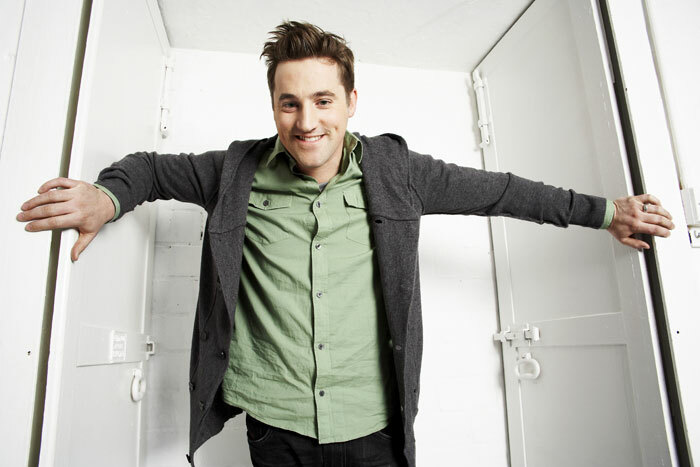 After storming the Christian charts for the better part of the 'noughties', and gracing us with award-winning songs such as Here I Am To Worship, Tim Hughes' studio work appeared to come to a sudden halt. But now, after a four-year hiatus, the young and very talented artist is back and better than ever! 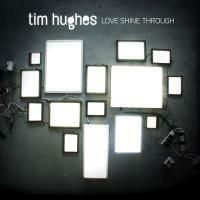 On the 21st March - this year - Tim will be releasing his brand new album: Love Shine Through. As his most colloberative work to date, the album is aided by the talents of Delirious? founders Martin Smirth and Stu G, and well as Ben Cantelon, Phil Wickham, Nick Herbert, Nikki Fletcher and Keys Kraayenoord - to name but a few. "I hope the resulting album is a collection of songs that the whole church can sing, but that are honest and vulnerable as well". 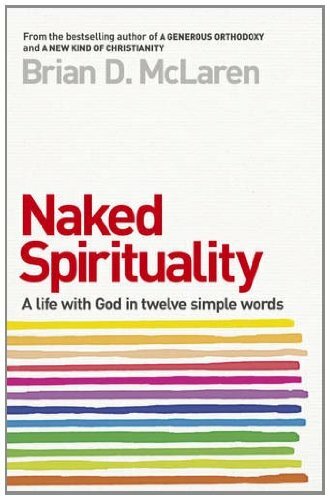 Best-selling author, Brian D. Mclaren - who brought you A Generous Orthodoxy and A New Kind of Christianity - presents his latest work: Naked Spirituality. Named by Time Magazine as one of the 25 most influential Evangelical Christians, McLaren is known for wrestling with what it means to be a Christian in today's world. In his new book, he looks at how we often neglect prayer and our spiritual practice, or 'wrap the subject up in a tangle of guilt-driven showmanship'. He candidly shares his own experiences and presents twelve crucial elements of prayer in a fresh and contemporary way. We've all heard the recent reports about Christians in the UK who are suffering for their faith - the B&B owners who were sued for turning away a homosexual pair, and couples who are being refused the chance to foster/adopt because of their beliefs. It's a worrying time for Christians in our country, but did you know that there are people who are doing their best to fight it? The Christian Institute, a nondenomination charity which aims to campaign for Christian truth, will be speaking at a special event tonight (10th March 2011) on 'Defending Gospel Freedom'. Co-hosted by Reading Family Church and Carey Baptist Church, the meeting is open to all who want to hear about the legal work being done to preserve Christian ethics and morals in families, marriage, education and the like. 'Girls Gone Wise in a World Gone Wild' is at number one for the second month running! Have you got your copy yet? ﻿If we have run out of any of these top titles, we can easily order them in for you! Kimberly Smith was an average American churchgoer, wife, and mother - until she dared to asked God His dreams for her life. 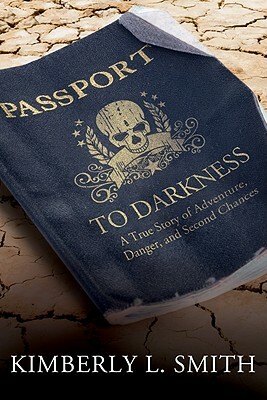 Traveling around the world and deep into the darkness of her own heart, Kimberly's worst fears collided with her faith as she and her family discovered the atrocities of human trafficking. But it was in that broken place that a self-centred life was transformed into an international effort to save thousands from modern-day slavery, persecution, disease, and genocide. Through painful trials, serious errors, and gut-wrenching fear, Kimberly reminds us of what God will do when one person puts her life on the line for His purpose. Along the way, she inspires you to discover your own story - to live your purpose and feel God's pleasure. Here you will find courage to live the life God dreamed of when he first dreamed of you. Anna Smith, wife of the lead singer of Delirious?, has written a book on her "adevntures with six kids, one rockstar husband, and a heart to fight poverty". Anna Smith lives a life of reflection and compassion - in the midst of kids, craziness, and world tours. 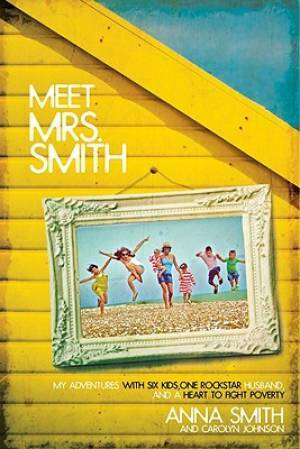 In Meet Mrs. Smith, Anna offers a feast of behind-the-scenes insights and a profound look at one family's quesr to foster a rich spiritual life and care for others while living well in a consumption-driven world. Anna reminds us that God never wants us to settle for less - in life, as parents, or in our careers - but calls us to live and work with all our souls, even when life gets messy. Take Anna's words to heart and get ready to surprise the world with your gifts, your passion, and your desire to do great things for God. Beth Redman: "I love Anna Smith, and I love reading about her story, her choices and her heart. Over the years, Anna has taught me so much about being a wife, a mum and a woman of God. I know this bold and adventurous book will inspire and encourage you in the same way". 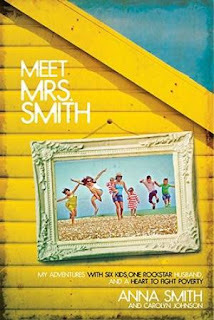 Rachel Hughes: "Meet Mrs. Smith is engaging, funny, moving, profound, and incredibly cathartic for anyone who is part of a busy young family". Available to buy from all Quench shops today! Jesus replied: "Anyone who drinks this water will soon become thirsty again. But those who drink the water I give will never be thirsty again. It becomes a fresh, bubbling spring within them, giving them eternal life."